Building gingerbread houses is a holiday tradition in many families. But gingerbread creations have transcended simple houses. 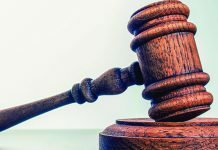 For instance, it takes a quick internet search to find gingerbread castles, gingerbread boats, gingerbread monuments, and even gingerbread farms and farmhouses. 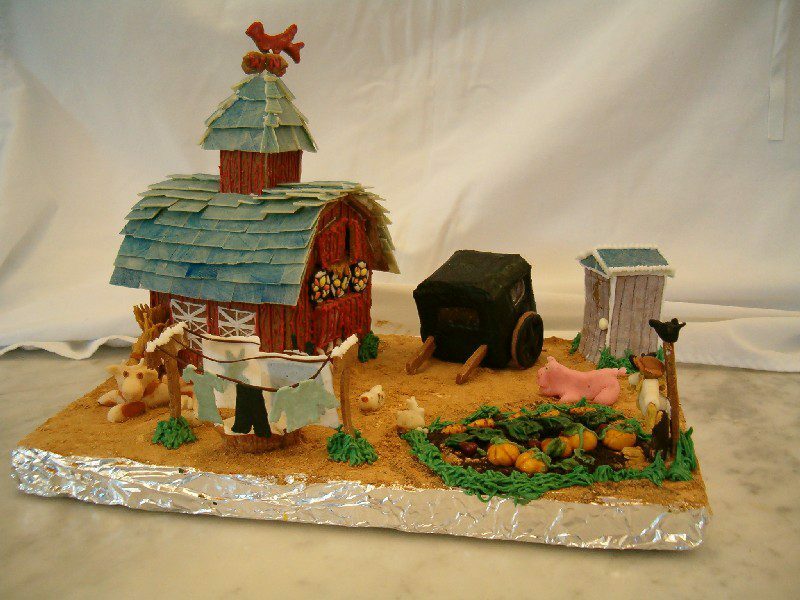 Here’s 10 gingerbread farmhouses from around the web. 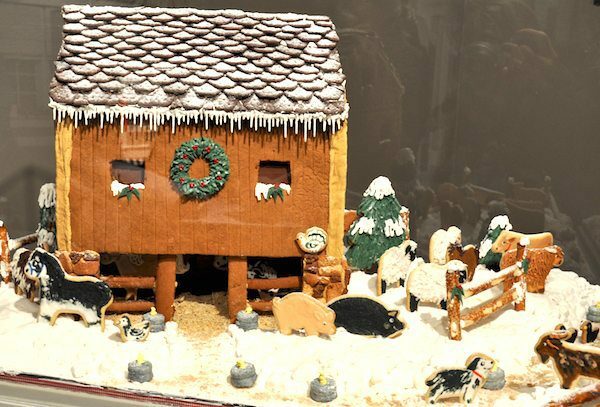 Flickr user Zeus_the_Ferret took this picture of a gingerbread reconstruction of the historic Knowlton Farm at the George Eastman House in Rochester, New York. The gingerbread farmhouse was built by Rita Freling of Pittsford, New York. 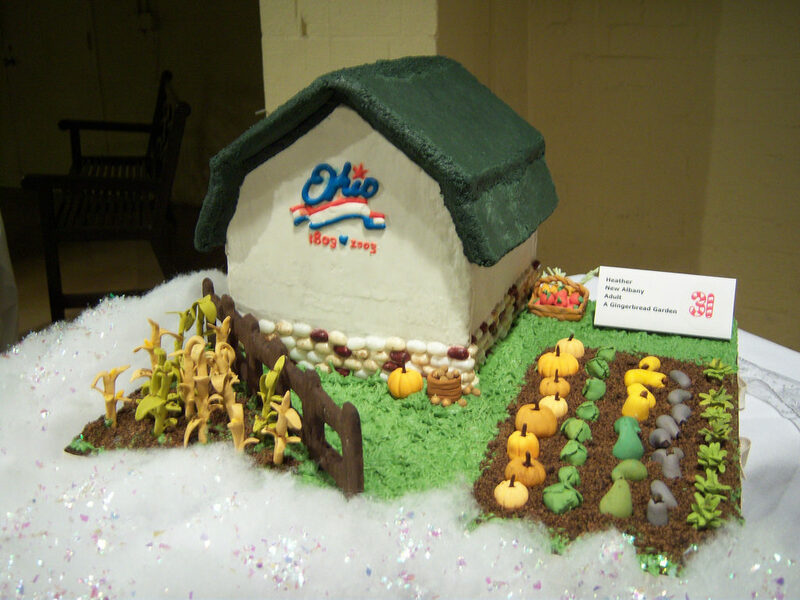 This gingerbread farm is celebrating its bicentennial! Flickr user Betty B took this photo. The barn was built and decorated by Heather of New Albany. Unfortunately, no other information is available. 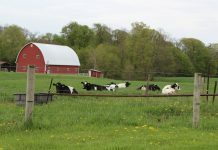 The Icing on Top by Meg, a blog that features the culinary creations of Meg Baylis of State College, Pennsylvania, featured this Amish farm scene. Gingerbread House Heaven, a website that features gingerbread houses and sells gingerbread house building supplies, featured Pang Xiong’s gingerbread barn. Pang said that this was her first gingerbread house, ever. You can see her other creations on her Flickr account. 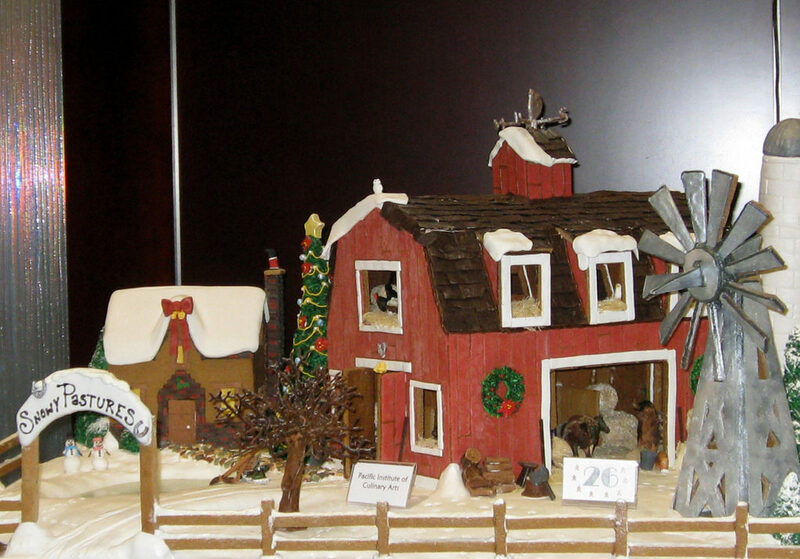 Flickr user Ruth Hartnup took this photo of a gingerbread barn made by the Pacific Institute of Culinary Arts. 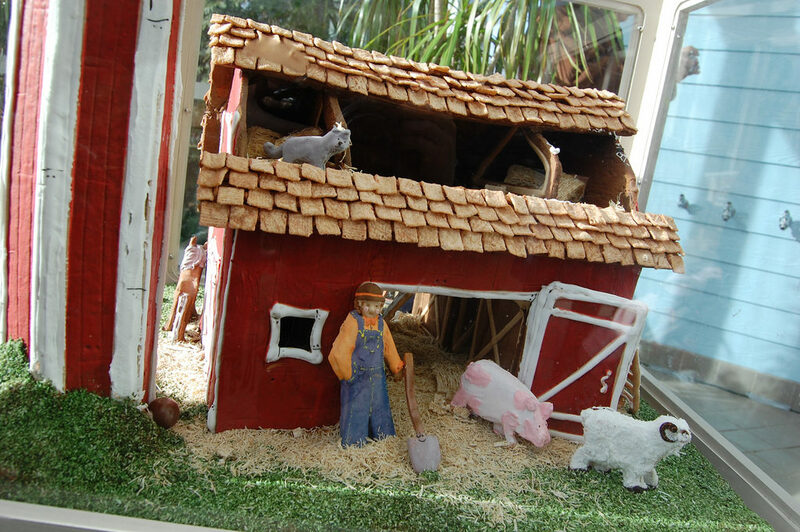 This gingerbread farm comes complete with a silo, and a variety of animals. The photo was taken in 2009 at the New York Botanical Gardens by Flickr user Kerri Sparling. Tanya Kulage, a real estate agent in Lawrence, Kansas, built this gingerbread farmhouse, in 2011, to support the Douglas County Kansas Big Brothers, Big Sisters program. Kulage details exactly how the house was made on the company’s website. 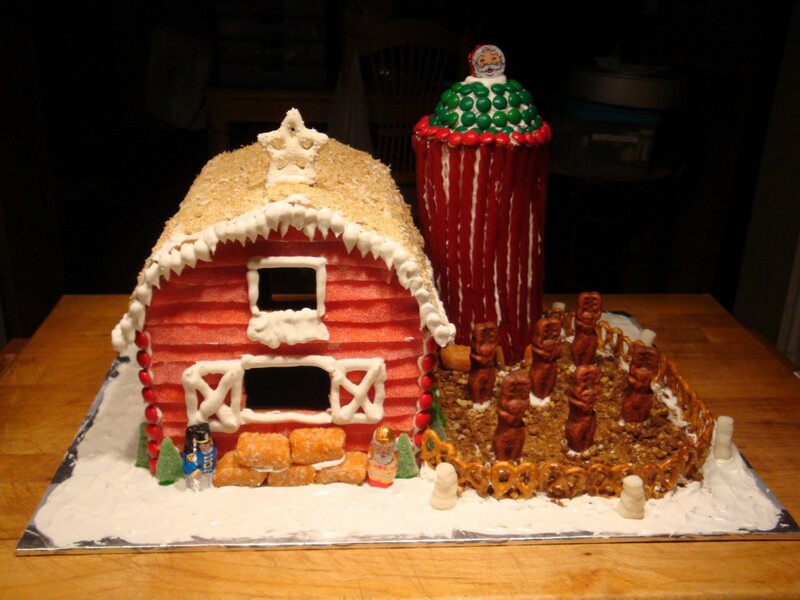 CTbites.com, a blog for people who love food in Connecticut, featured this gingerbread barn on its website. The barn was built by a team of workers from Stamford Museum and Nature Center in Stamford, Connecticut. 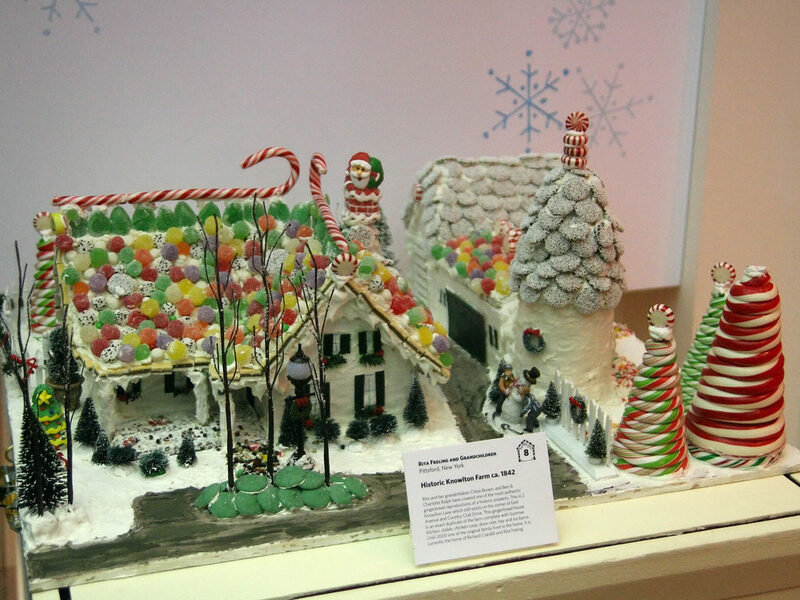 The Aurora Regional Fire Museum in Aurora, Illinois, held a gingerbread firehouse contest and raffle. 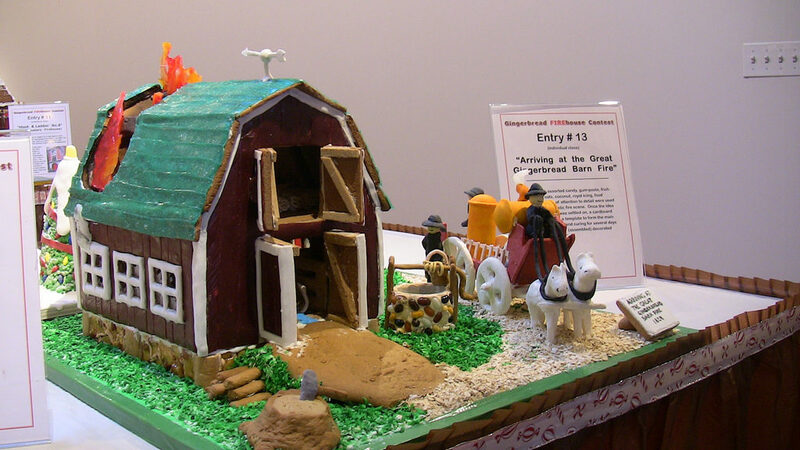 This project, “Arriving at the Great Gingerbread Barn Fire,” won first place in the individual class. Stephanie Gustafson, Tomball, Texas, shows off her culinary creations on her blog, Sweet Thang’s Confections. She created this gingerbread farm for her first annual gingerbread house party in 2010. Building a gingerbread farm is fun, but destroying it can be just as amusing. Here’s a video of a horse investigating, then eventually tearing down, a gingerbread barn. 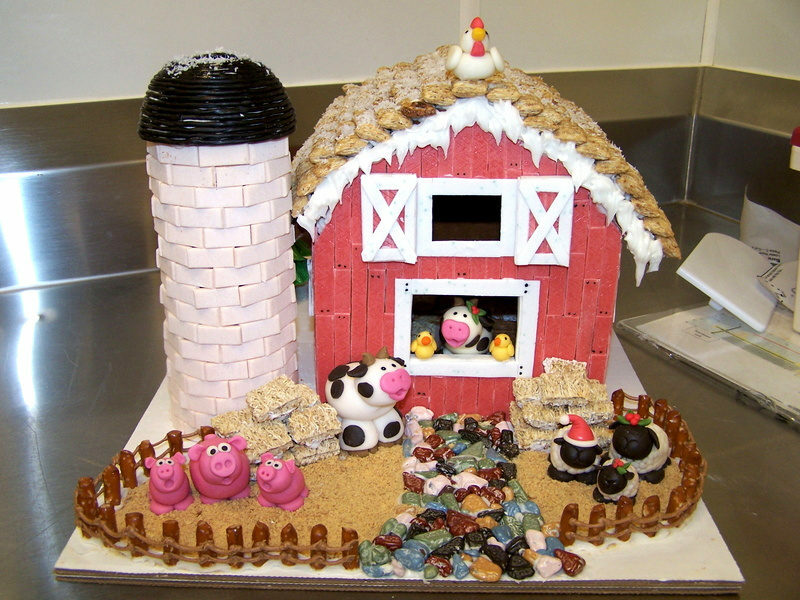 Some of these Gingerbread barns look delicious!! Given me a few ideas for our next build.